Clean rooms, friendly staff and great value for price. The kitchenette was really awesome for saving some money on stuff we could prepare on it. The beds were comfortable. The tv had international channels. The fridge in the roon was spacious enough and was working properly. Price, cleanliness, fast check-in and out. Location. The hotel is not in the center of Paralia Katerini and this is perfect if you want to sleep well without restaurants' noises. The beach is near the hotel. We didn't have any problems during our stay. Lively looking hotel and rooms. Nice lady at reception. Everything was perfect! Dear helpful staff! I recommend to everyone! The beds were very comfortable. The balcony provided the spectacular view to Olympus Mountain on one, and sea on the other side. The rooms were regularly cleaned and felt very fresh, artistic and inspiring :) Staff was polite and willing to assist in any situation. Would highly recommend to anybody! 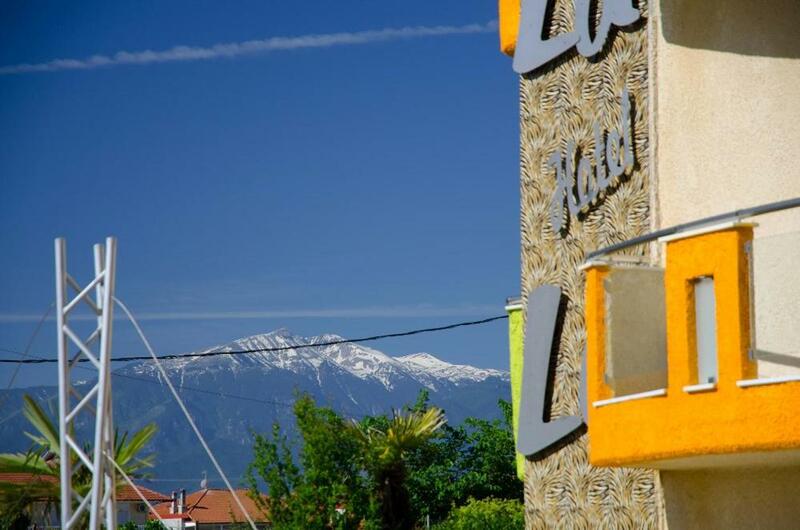 Lock in a great price for Lilalo Ηotel – rated 8.4 by recent guests! 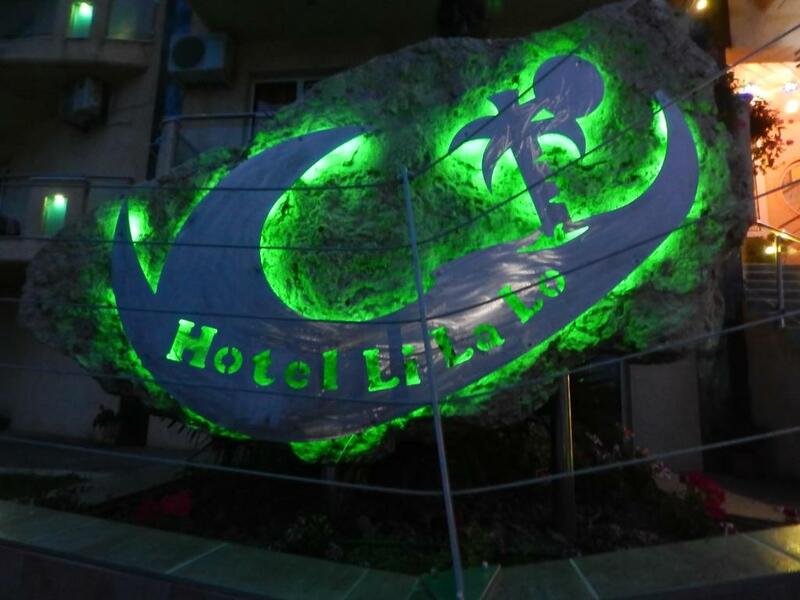 Lilalo Ηotel This rating is a reflection of how the property compares to the industry standard when it comes to price, facilities and services available. It's based on a self-evaluation by the property. Use this rating to help choose your stay! 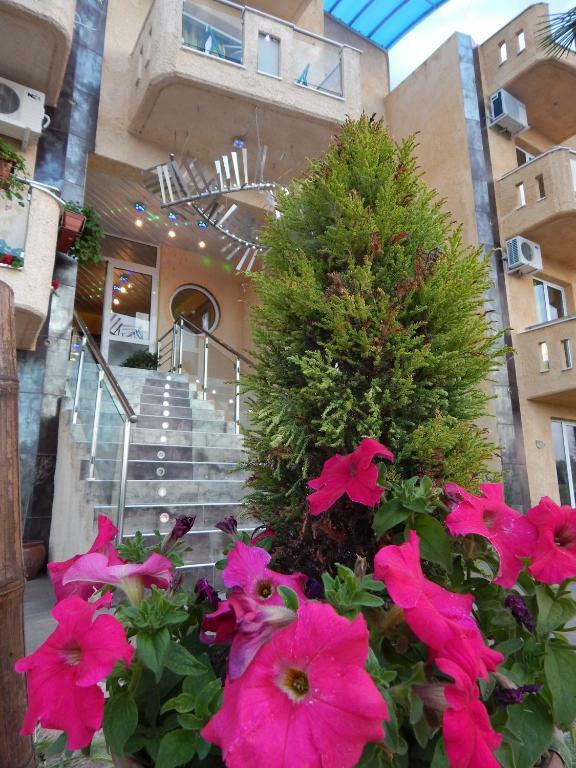 Just a 5-minute walk from the sandy beach, Lilalo Hotel features self-catering rooms with furnished sea-view balconies. The cosmopolitan town of Katerini is at 3.7 mi. 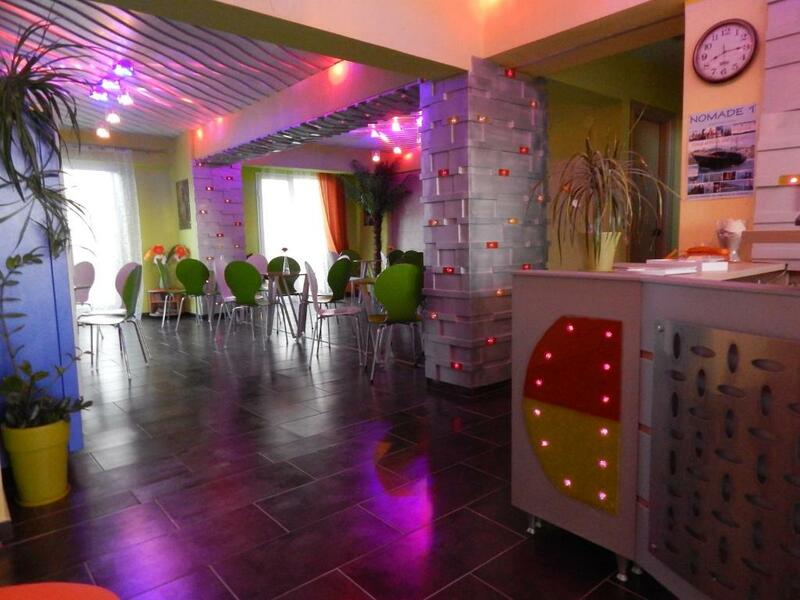 All Hotel Lilalo’s rooms feature fridge, electric hobs and TV. Units are decorated in bright, modern colors. The Lilalo features a hot tub in a palm-tree garden. Free Wi-Fi access is available in the entire hotel. Staff at the tour desk can provide area information and help with tickets. Guests of the Lilalo can enjoy the nearby Blue Flag-awarded Olympic Beach, popular for its clean and shallow sea. 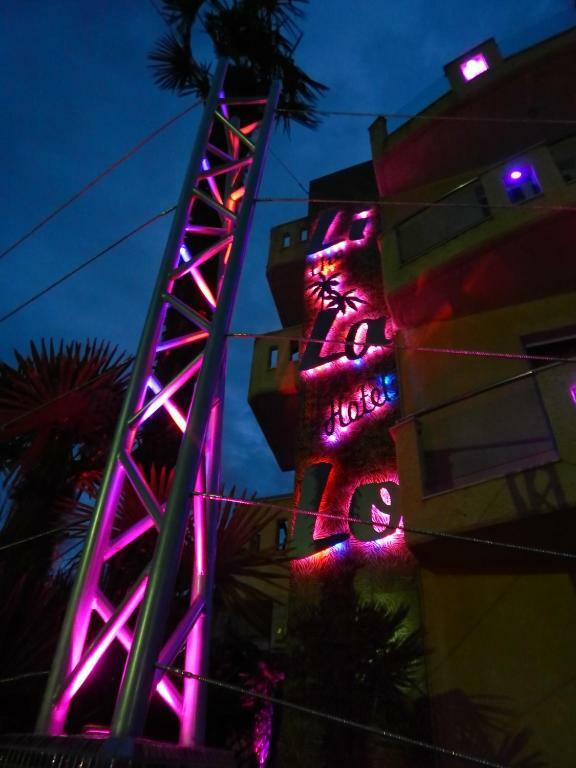 The center of Paralia is at 1,650 feet from the Lilalo. Free public parking is possible at a location nearby the hotel. 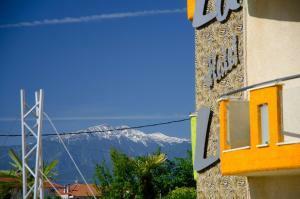 When would you like to stay at Lilalo Ηotel? Air conditioning is for an extra fee. 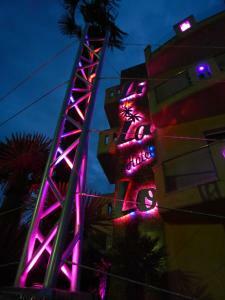 House Rules Lilalo Ηotel takes special requests – add in the next step! Lilalo Ηotel accepts these cards and reserves the right to temporarily hold an amount prior to arrival. Air conditioning is available for an extra fee. Please note that the entire property is non-smoking. Even though is clean enough, can be cleaned at least every second day, instead every third. Very clean, comfortable, great staff ! The water pressure was low and in wasn't easy to take a shower. The bathroom was small and after the shower was always water on the floor. Very clean, very nice stuff! The remote for air conditioner was for supplementary costs. Location - it is not as descripted in photos. Beach is 10 min walking by foot! Internet, after years, is still an issue here, as well as at their cafe bar at the beach. Noisy neighbors speaking loudly at night time. Really slow internet speed, most of the times connection got disrupted. The room walls are quiet as stated by the property but the door let in every small noise so that was disturbing a bit.